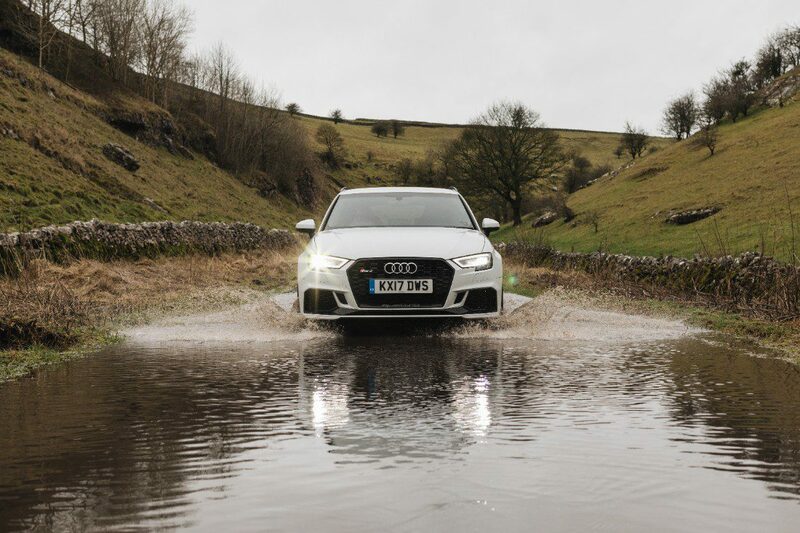 The battle for the title of hot-hatch king has never raged more intensely. 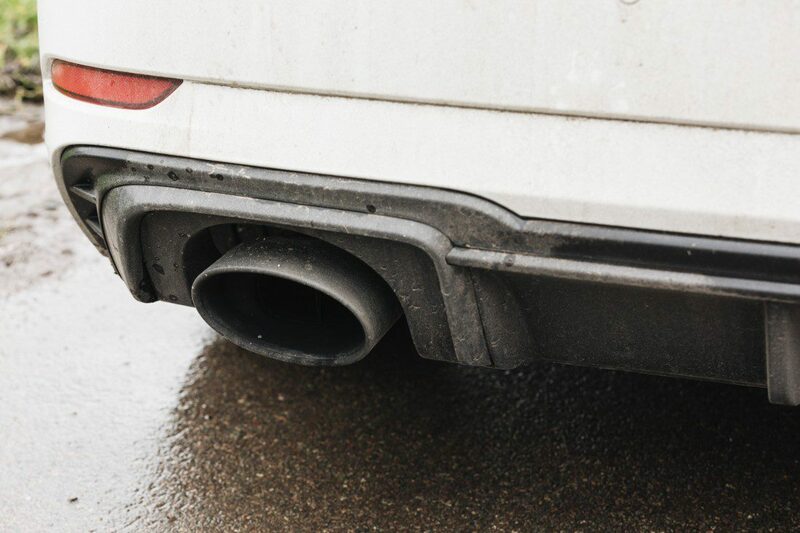 In an inferno of brake dust, exhaust noise and blistering speed, where BMW, Mercedes-Benz, Audi and VW have been joined by Ford- the cars on offer boast a mouth-watering array of ability. 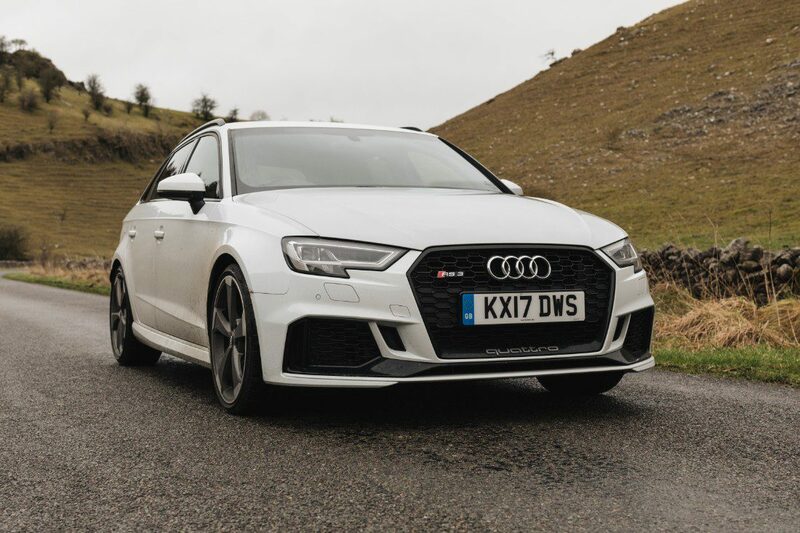 Ape have driven the BMW M140i, Volkswagen Golf R, Ford Focus RS, Mercedes-AMG A45 and most recently the Audi RS 3 Sportback. 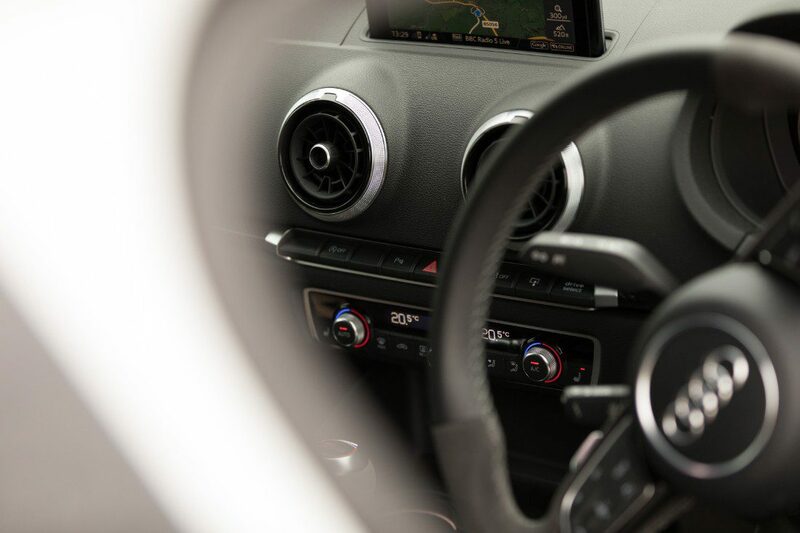 The RS 3 is Audi’s flagship hot-hatch, and while it’s available in a Saloon version- we believe it’s all about the 5-door Sportback. 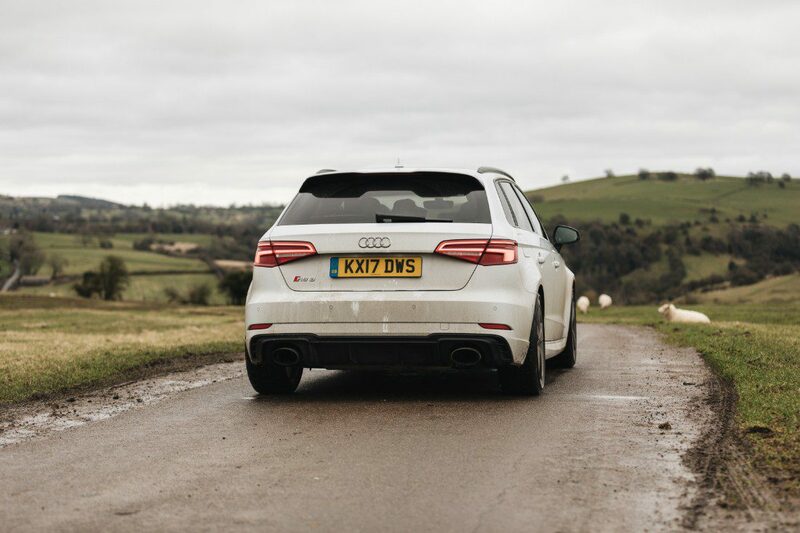 Over the course of a week we lived with the RS 3, getting to know it as a daily use car and its alter-ego, a wolf in sheeps’ clothing. 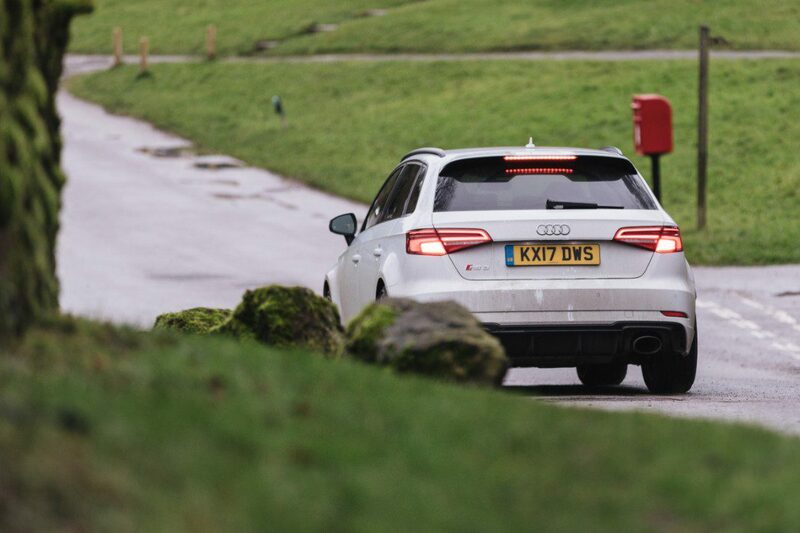 In general, going fast has never been easier or as affordable- the new RS 3 being a great illustration of this. It costs from £42,815, will outrun a Lamborghini Gallardo, return 35mpg but is no more difficult to operate than a Starbucks coffee machine. 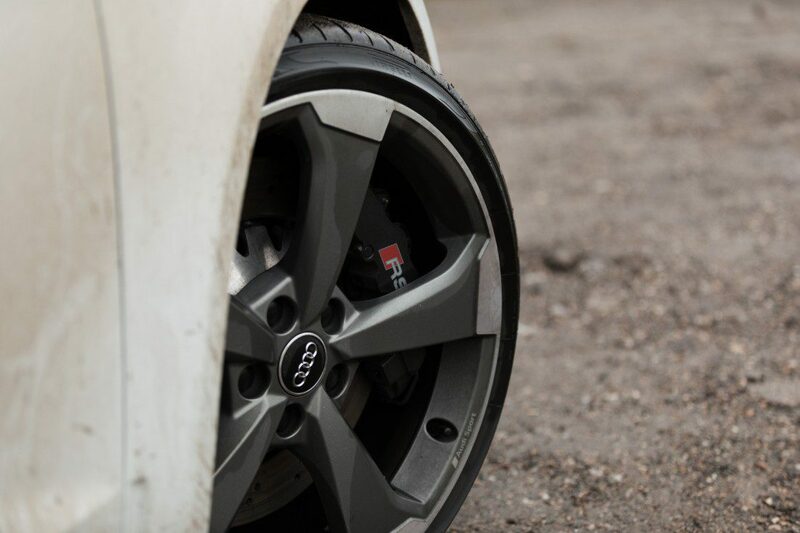 We drove the 2.5L TFSI quattro S tronic 400bhp version with 19” ‘5-arm-rotor’ design alloy wheels in matt titanium, a gloss black styling pack and glacier white metallic paint. This combined with privacy glass, black roof rails and Matrix LED headlights, and you have one handsome beast- a mightily imposing presence while stationary or on the move. Under the ‘hood’ we were treated to a top speed increase option, Super Sport seats in Black Fine Nappa leather with Rock grey stitching, carbon inlays, a Bang & Olufsen Sound System and most pleasingly- the sweet-growling sound of the RS Sport exhaust system. 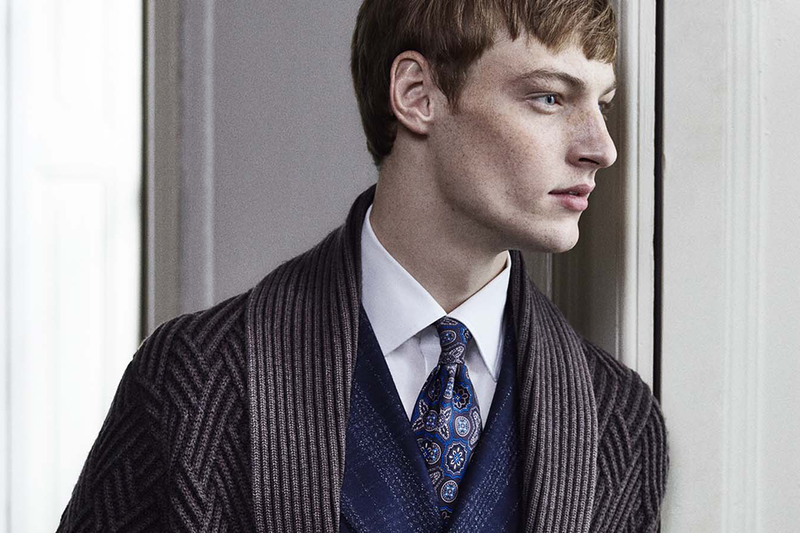 The OTR price totalled £54,635. Put your foot down and it’s clear that the RS 3 is undoubtedly one of the most powerful and intoxicating hot hatch-backs on sale with its 400 horses, five-cylinder engine and four-wheel drive system locked into an F1-inspired launch control system rocketing you from 0-62mph in 4.1 seconds and onto a license losing speed of 174mph if you’re feeling brave enough. Those are some mightily impressive numbers for something that can also seat five adults in relative comfort and swallow a decent amount of luggage. Spec-for-spec, the Mercedes-AMG A45 is the Audi’s chief rival but is a fraction less powerful developing 376bhp from a less tuneful 2.0-litre four-cylinder turbo and it lacks the opulent interior of the Audi. 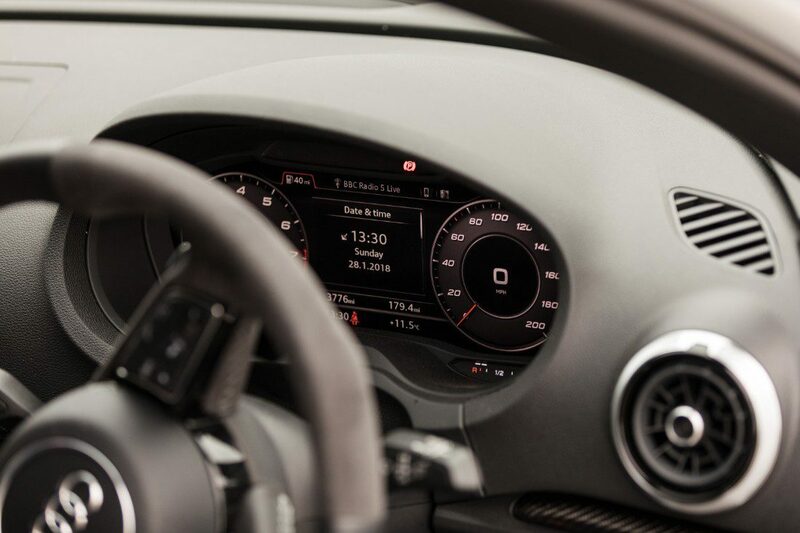 That Bang & Olufsen Sound System, Apple CarPlay and lashings of leather, aluminium and carbon fibre covering all visible surfaces, gives the Audi the feel of a boutique hotel room. Thumb the starter button and the five-cylinder engine fires into life with bark and settles into deep, snarling burble. 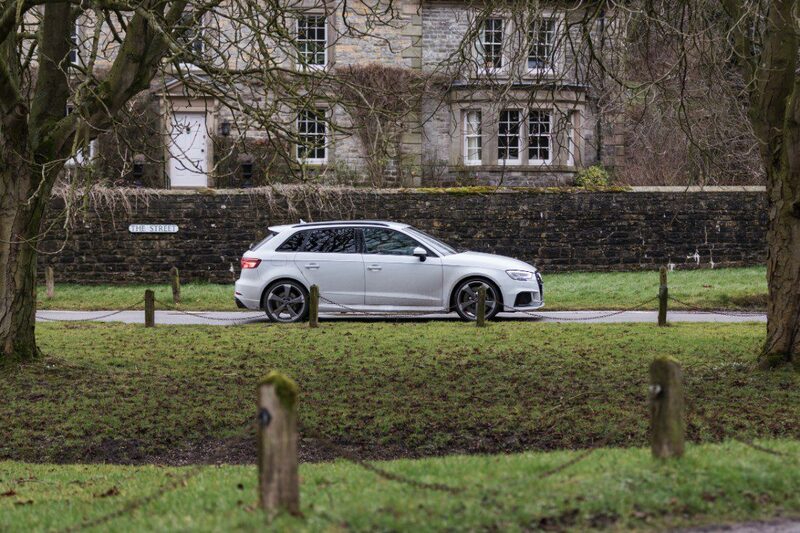 For everyday use we found the economy mode made the RS 3 much more toned down- quieter and less punchy on the throttle, all very civilised. If that’s what you want. Slip it into dynamic mode though and the gloves are off with the crescendo of noise from the two fat oval tailpipes signifying the fun is about to begin, then comes the relentless speed. Huge reserves of torque – 480Nm – means relentless acceleration and the four-wheel drive system means none of the power dissipates into plumes of tyre smoke. Cornering, to use an old adage, is done like you’re driving on rails- rarely did we see the traction control indicator light up. Fast it may be, really fast, but we can’t claim it’s as exciting to drive as the tail-happy rear-wheel drive BMW M140i. 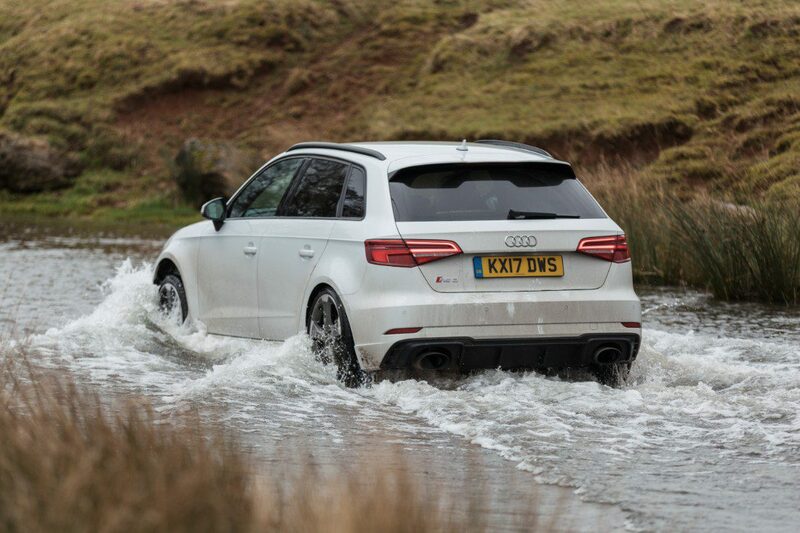 The RS 3 is a point and deliver machine: great on the long straight bits but not so thrilling in the corners. 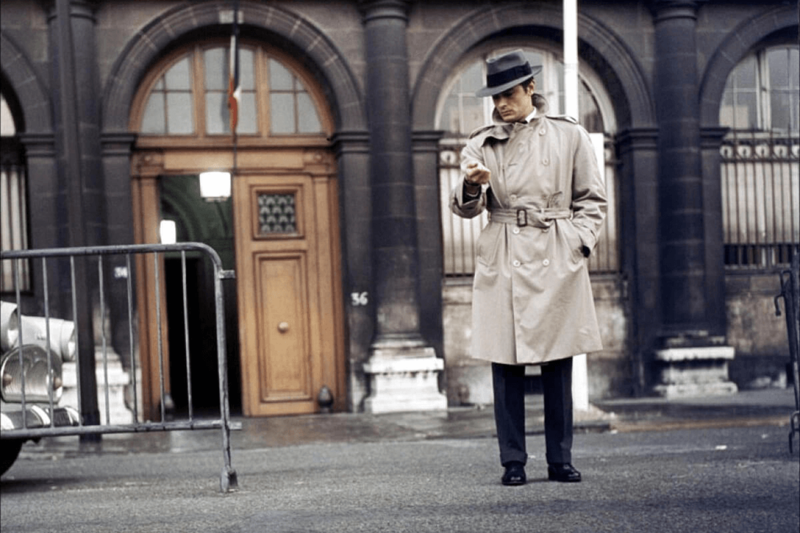 More of a science experiment than an unpredictable thoroughbred. But then, maybe that’s your preference? 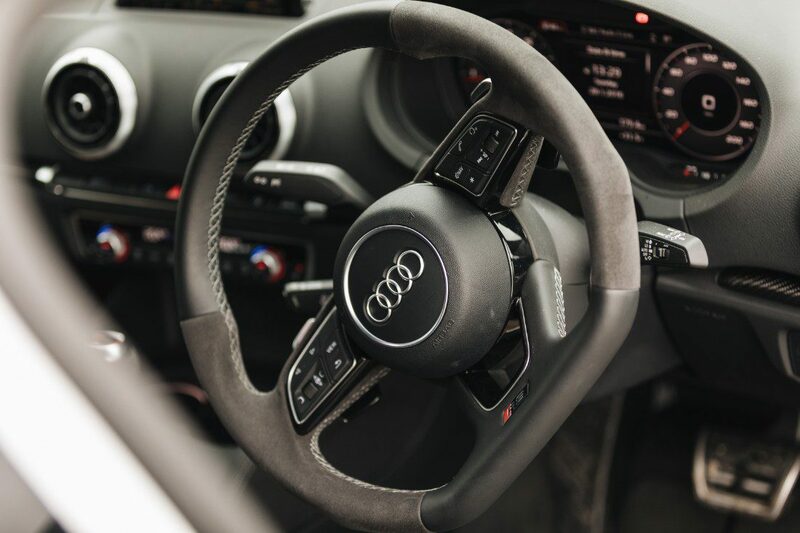 To look at, listen to and live with, the Audi is a beautifully crafted piece of kit which we’d be delighted to have in our garage on a permanent basis.